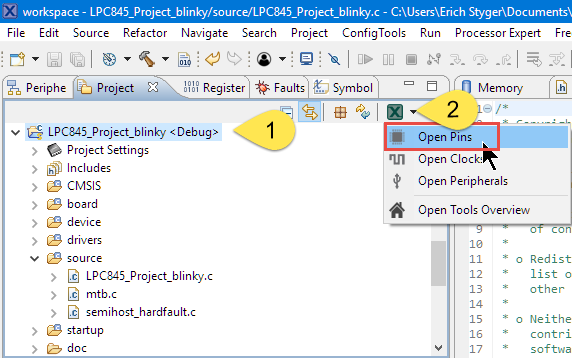 This tutorial goes through the tool installation and basics of implementing a blinky with MCUXpresso. It should give you a starting point to for your own application on that board. 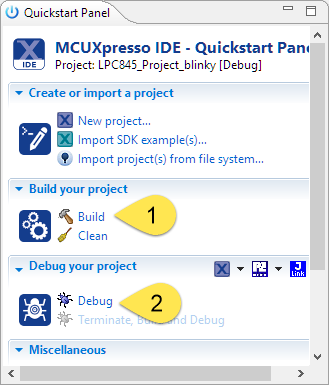 Download the NXP MCUXpresso IDE from http://www.nxp.com/mcuxpresso/ide and install it with the default options. 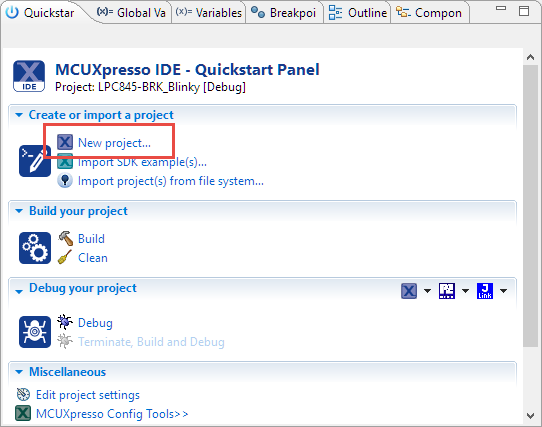 Got to http://mcuxpresso.nxp.com/ and select the LPC845 SDK (there is no SDK for the board available yet). 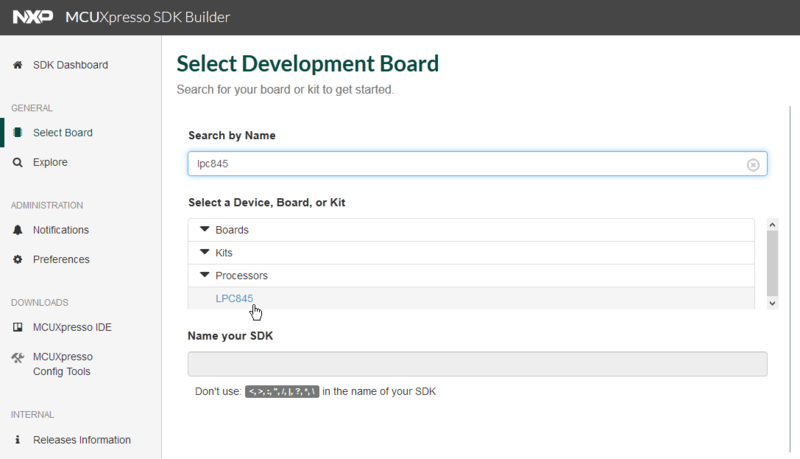 I recommend that you configure the SDK with all available software components. 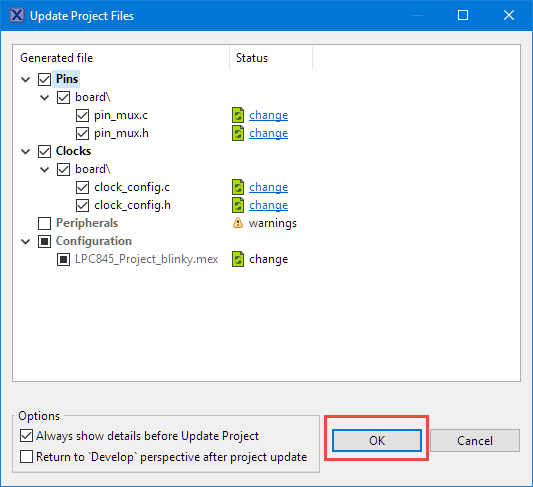 It asks to confirm the changes. 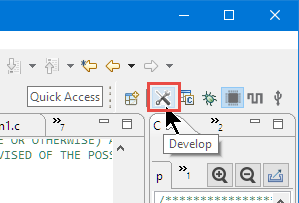 Press OK.
Switch back to the Develop Perspective (if not done automatically). For the LEDs we are using the GPIO port 1 for which we have to ungate the clocks first, otherwise the GPIO pins won’t work. 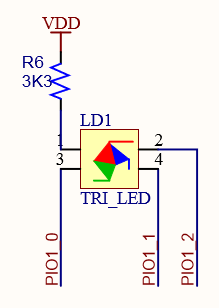 Notice that I’m using the Identifier (LEDG, LEDB and LEDR) in the macros I defined previously in the Pins tool. 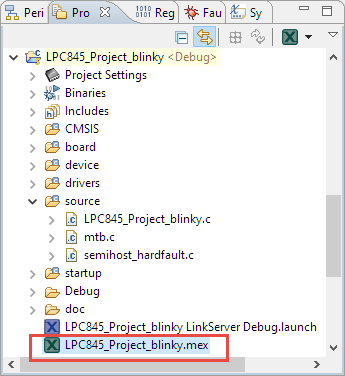 Although there is no dedicated SDK for the LPC845-BRK board yet, it is very simple and easy to create a blinky application for it. 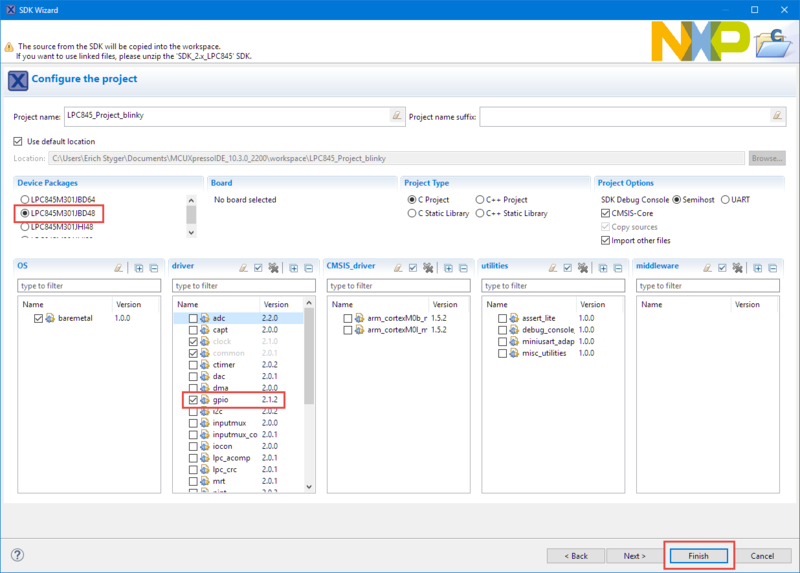 Using the NXP MCUXpresso SDK, IDE and Configuration tools it only needs a few lines in the application code to use the LEDs or any GPIO pins on the board. 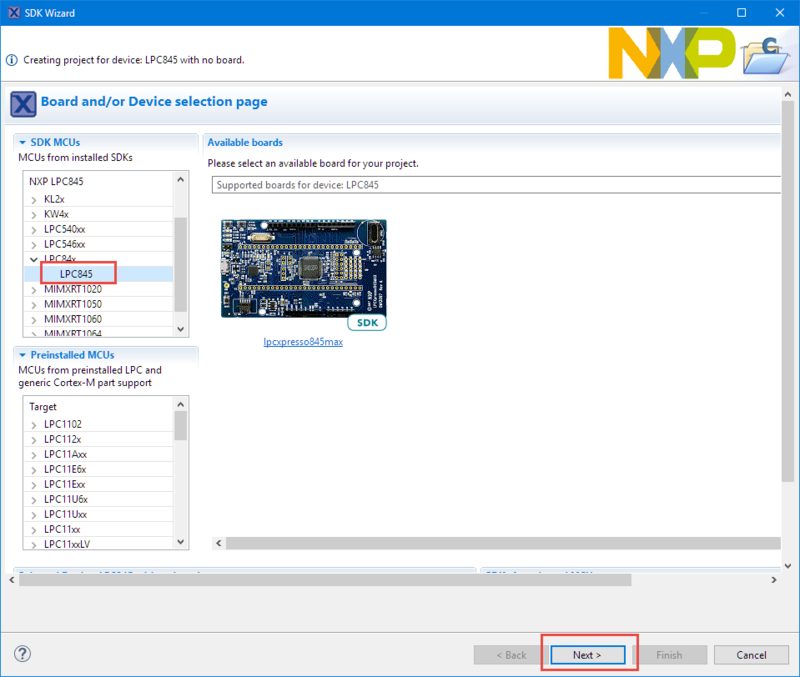 NXP LPC845 web page: https://www.nxp.com/products/processors-and-microcontrollers/arm-based-processors-and-mcus/lpc-cortex-m-mcus/lpc800-series-cortex-m0-plus-mcus/low-cost-microcontrollers-mcus-based-on-arm-cortex-m0-plus-cores:LPC84X? 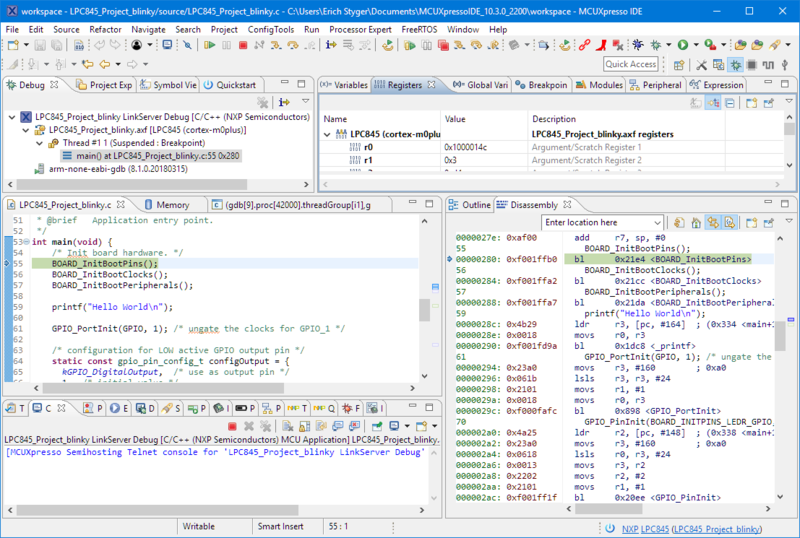 This entry was posted in ARM, Boards, Building, CPU's, Debugging, Eclipse, Embedded, gcc, LPC, LPC, LPC845-BRK, MCUXpresso, MCUXpresso IDE, MCUXpresso SDK, NXP, Pins Tool, Tutorial and tagged ARM, arm gcc, Building, Debugging, Eclipse, Flashing, gnu gcc, LPC, LPC845-BRK, MCUXpresso, MCUXpresso Configuration Tools, MCUXpresso IDE, MCUXpresso SDK, NXP, Pins Tool, software project, Tips&Tricks by Erich Styger. Bookmark the permalink. 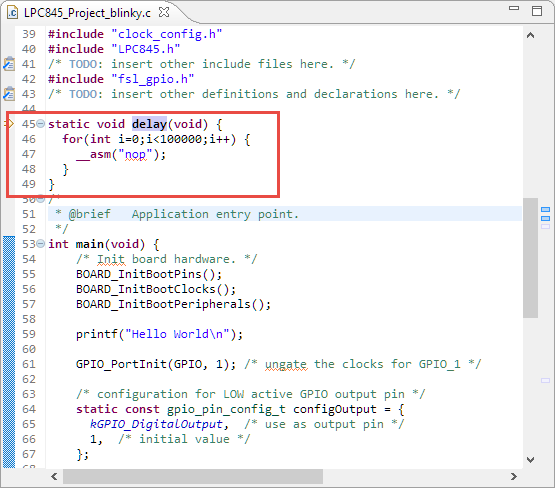 Nice post, but I’m a little surprised that the generated code didn’t automatically ungate the clock on the GPIO port. 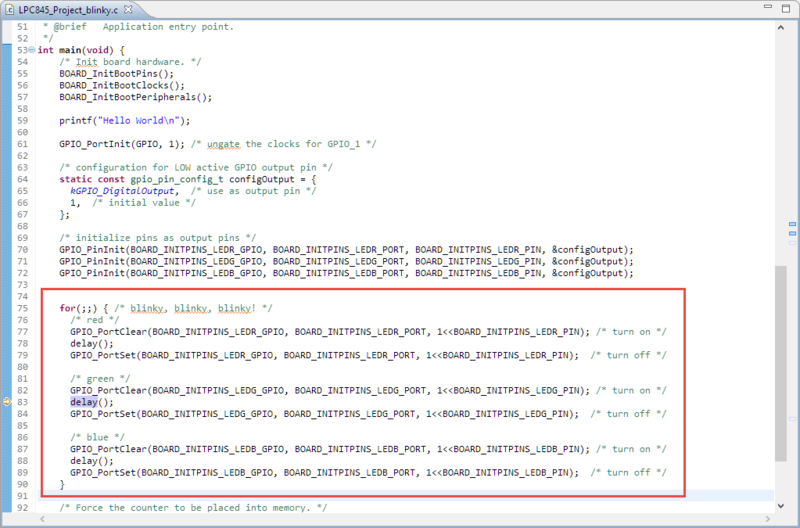 The Kinetis MCUs I have used have code in BOARD_InitPins() that does this without requiring the manual addition to the main() function. 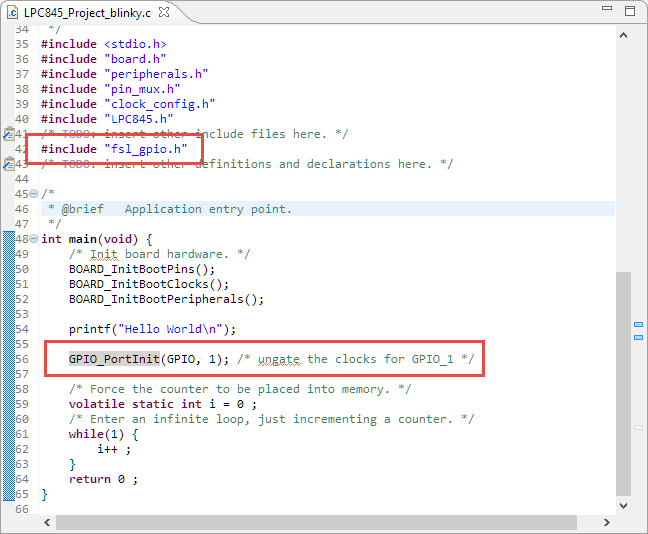 (the GPIO_PortInit() function just seems to call CLOCK_EnableClock() anyway). e.g. 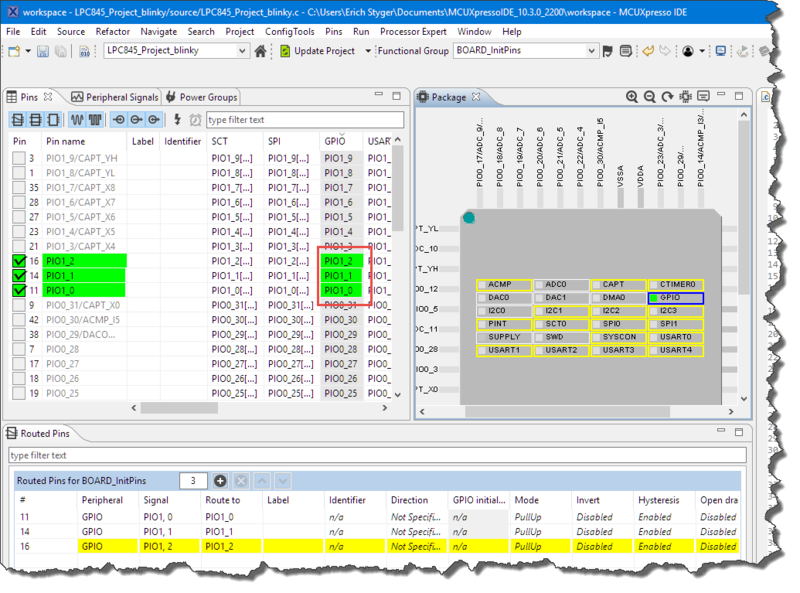 on a Kinetis MCU…. yes, I was wondering too. 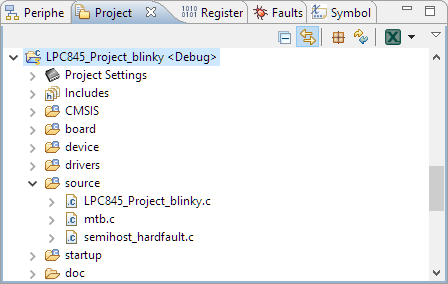 I missed to add that ungating code initially and it took me a while to find out what was wrong. 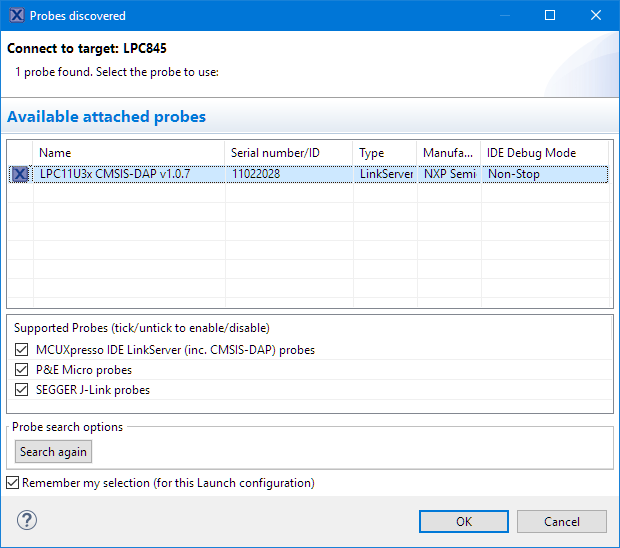 I’m not sure if I missed a setting or if things somewhow need to be different for LPC?